The Woodlands In Focus conducted the following interview with Gil Staley, Chief Executive Officer of The Woodlands Economic Partnership. Gil Staley has been with The Woodlands Area Economic Development Partnership for eleven years and is responsible for recruiting new businesses to the South Montgomery County area as well as directing the business retention and expansion program. 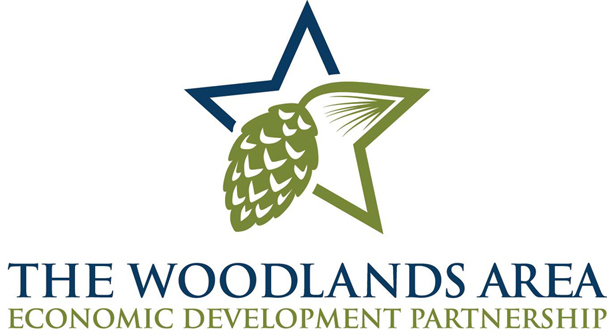 What is The Woodlands Area Economic Development Partnership? Our organization started in 1997 as a division of The Woodlands Area Chamber of Commerce. Our mission was simple at the beginning; retain existing companies. Over time, the EDP has emerged into a full scale economic development organization as would exist in any community. We are organized as an independent 501(c)(6) non-profit organization. Our funding is primarily supported by membership with public funded entities and private businesses. We are now involved in recruiting new companies, obtaining incentives and performing our business retention and expansion activities. We coordinate all available resources in The Woodlands Area to help facilitate a company’s move or expansion to this vibrant business and lifestyle community. Why are businesses attracted to The Woodlands? The Woodlands offers a unique suburban lifestyle that is well-suited for businesses, their employees and families. We are known for our pro-business atmosphere, unique class A office space, close proximity to international airports and world-class shopping, as well as fine dining, diverse residential living, championship golf, excellent education and healthcare systems and more. How do the taxes from local businesses contribute to the 2017 Township budget? The Woodlands Township 2017 Budget reflects property tax revenue of $44,593,740; commercial property tax revenue represents approximately 21%. Nearly 50% of The Woodlands Township’s overall revenue comes from Sales Tax and Hotel/Motel Tax. With more commuters coming into our community each morning than leaving, our daytime population more than doubles. This key demographic figure plays an integral role in our strong sales tax revenue. 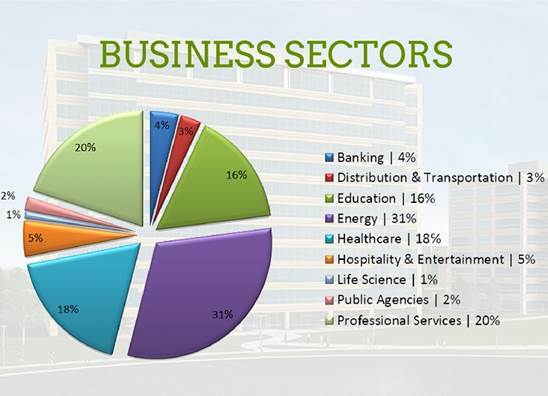 Also, our corporate sector is a major source of business for our area hotels. Along with job growth, why else are businesses important to The Woodlands? The creation of primary jobs has a tremendous impact on our economy. The obvious benefit of job growth in our community is positive growth in our community’s economy, through retail and home sales. With job growth, comes population increases. Typically, with an increase in population, like we are experiencing, you hope to see two sectors grow; education and healthcare. Luckily, we see this scenario playing out. Currently, we have two acute care hospitals nearing completion; Houston Methodist The Woodlands Hospital and Texas Children’s The Woodlands Hospital and our education facilities are growing at a rapid pace to keep up with the student growth in our public and private schools. Another key benefit of businesses and corporations is philanthropy. Many of our charitable nonprofit organizations partner with corporations in many different ways, including financial contributions, volunteerism, in-kind donations, use of corporate facilities and access to employee expertise. What was the job growth from 2015 to 2016 (in percentages)? Below, is a graph of job growth with our major employers over the last five years. The Woodlands is becoming a big hub for healthcare. Physicians are coming to The Woodlands despite a national shortage. Is there anything else you’d like to expand on with this subject? As addressed above, healthcare is growing at a rapid pace to address our population growth. Soon, we will be home to four acute care hospitals; CHI St. Luke’s The Woodlands Hospital, Houston Methodist The Woodlands Hospital, Memorial Hermann The Woodlands Hospital, and Texas Children’s Hospital The Woodlands. Simply stated, health care is our largest growth business sector. Mitchell’s goal was to have 1.5 jobs per household. According to this graph, we’ve reached that. What are your thoughts on this ratio, and what role did the Economic Development Partnership have in achieving this goal? Mr. Mitchell’s goal to have 1.5 jobs per household was rather unique for a suburban community. Certainly, as an economic developer, we see the positive impact of having an abundance of jobs for our residents and not be a typical “bedroom community”. The vision of Mr. Mitchell’s "Live, Work, Play and Learn" is still the essence of our community. In our 19 years of existence, we have held true to our mission of job growth and capital investment in our community. We offer all the available resources in The Woodlands area to help facilitate a company’s move or expansion to our area, including site selection, business incentives and workforce recruitment and training to name a few. Our Statement of Purpose was created during the early years of our organization and continues to be our guiding principle. A resource to, and advocate for employers. Facilitate access to information and influence. To promote job growth and economic vitality in The Woodlands Area. Has The Woodlands been affected by the oil and gas downturn? Does the broad diversity of the workforce in The Woodlands help? The downturn in oil prices has impacted our business community. We have seen corporate layoffs with those companies primarily involved in exploration and production. Demand for office space has slowed down, as well. Currently, we have approximately 1.2 million square feet of speculative office space unleased. In addition, we have approximately 330,000 square feet of empty sub-lease office space. With all this said, we are optimistic that we will be well poised to take advantage of an upswing in oil prices! I think we all agree, that day will come.